With an innovative workplace full of aviation enthusiasts, Reiser Simulation and Training reaches new heights in the dynamic world of flight simulation. Reiser Simulation and Training was founded by Wolfgang Reiser in Bavaria, Germany, in 1988. What began as a ‘one-man show’ in Wolfgang’s garage, supplying components for lasers, morphed into a company reengineering avionic equipment for the flight simulation industry when Wolfgang teamed up with Michael Stock of Stock Flight Systems. For a number of years, the company operated as a highly reputed manufacturer of quality flight simulation components. Then, around 5 years ago, the company was given a contract to replicate entire helicopters for flight training purposes, effectively shifting Reiser Simulation and Training from a parts supplier to a full systems provider. It’s also crucial for Reiser to work closely with customers because correctly training pilots is very important for safety. Roman says, “Customers are the key to success. Aside from your staff, they are the ones who give you every day reasons to operate, to deliver products to them and to serve them.” Roman explains that the company must excel at what it does in order to prepare customers for the difficult task of flying aircraft and helicopters. He adds that customers are demanding, and rightly so, because the environment they are preparing for is a challenging one. Reiser prides itself on playing a vital role in their development. 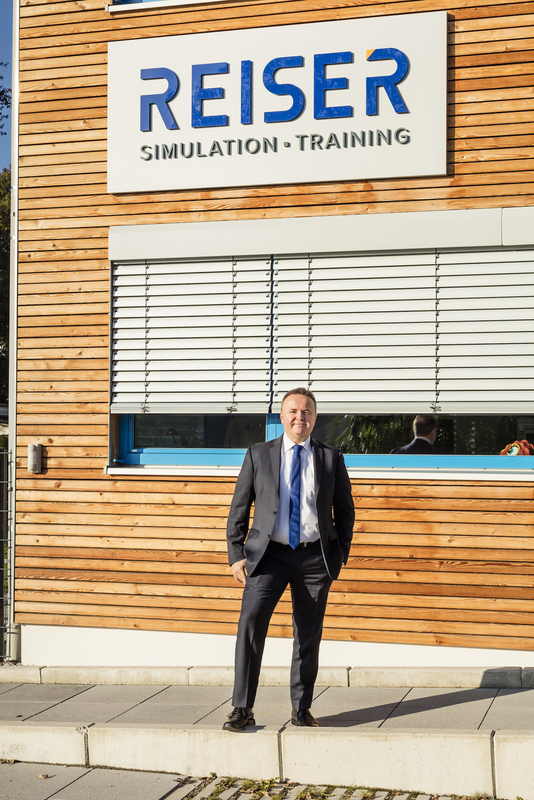 In order to create quality simulators and training replicas while delivering the best simulation training, Reiser employs people who love aviation. Roman says he looks for staff who are motivated and want to do the job. “Those people are the ones who will stand behind you even when projects require working longer shifts or overnight — you really need to find out if people are willing to take that up and are motivated by aviation,” he says. The company is still growing and Roman describes Reiser as a “28-year-old start-up”. He’s proud to say he receives applications from people around the globe, and that people are attracted to “an agile, German, medium-sized company”.